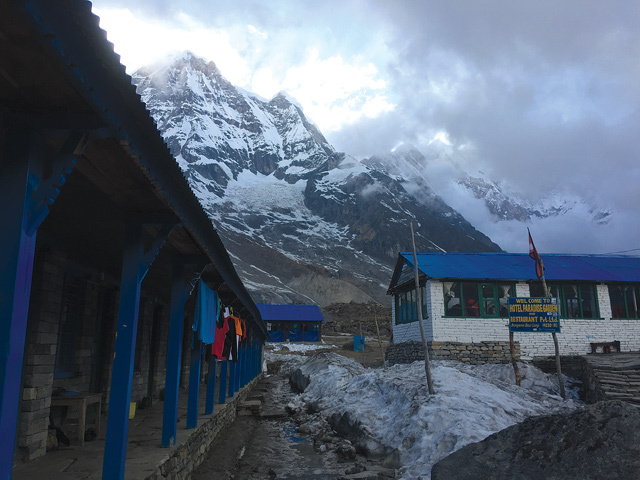 Annapurna Base Camp (ABC) is one of the most popular trekking destinations in the world, but limited hotels and lodges on the hiking trail has left visitors sleeping in dining rooms and storage areas. Tight quarters during spring season get even worse in autumn when trekker arrivals double. 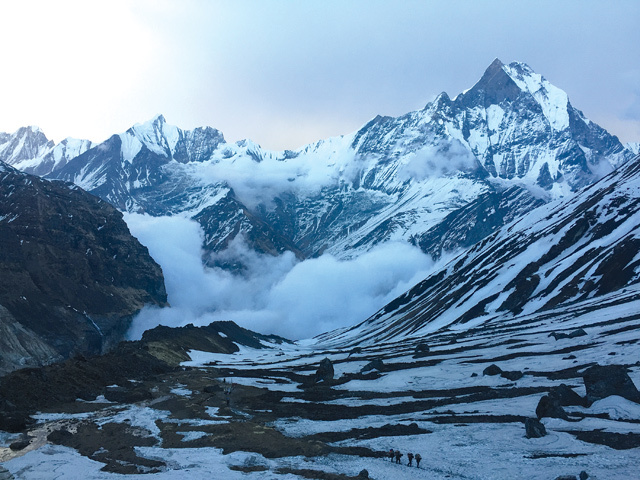 The number of international visitors to the Annapurna Conservation Area, most destined for the ABC and Ghandruk treks, has increased three-fold in the last 20 years, but the number of hotels remains the same, thanks to the rigid policy of the Annapurna Conservation Area Project (ACAP), which has barred locals from opening new hotels or expanding to existing ones. As visitor numbers continue to surge after the earthquake, the situation is becoming critical. “I tried my best to add rooms to adjust for the growing number of tourists but ACAP never allowed me to,” says Ram Gurung, whose father started New Panorama Guest House, maximum occupancy 25, in Deuarali three decades ago. “I receive more than 250 guests a day in peak season and accommodate them in dining and store rooms or wherever possible,” he adds. 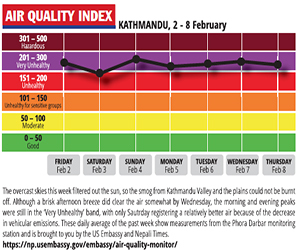 According to ACAP’s Pokhara office, 200-250 foreigners a day are taking permits for the ABC trek this spring season. This figure usually doubles in the autumn. 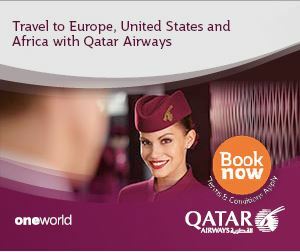 There are no figures for domestic tourists. Although there are limited hotels after Chhomrong point, ACAP doesn’t cap the number of permits. More than 19,029 foreigners trekked to ABC in 2016. 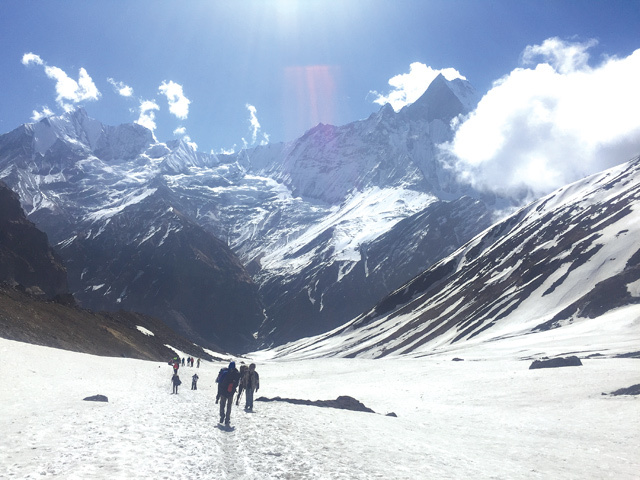 There are four hotels in ABC, five in Machhapuchhre Base Camp, four in Deurali, two in Himalaya, three in Dovan, five in Bamboo, three in Upper Sinuwa and three in Lower Sinuwa. ACAP is making plans to allow more hotels, says Rashmi Acharya of ACAP, Pokhara, but it must proceed cautiously before giving the green light to more development on the conservation area’s public land. The organisation is finalising a policy that will allow locals to build new hotels on the trail, she adds. Once it is approved, ACAP will form a committee, including locals along the ABC trail, and start consultations. Currently, ACAP is guided by the Conservation Area Management Regulation (CAMR), 1997. Acharya refused to speculate on the number and locations of new hotels. 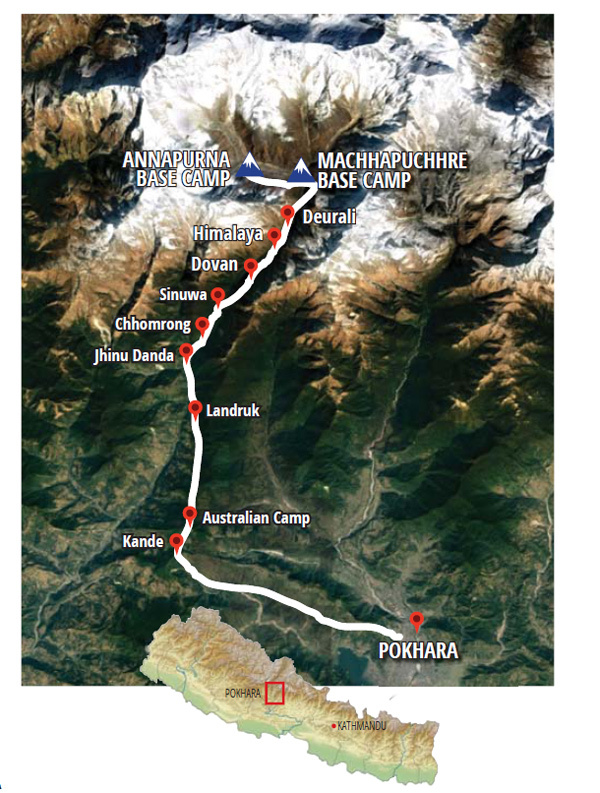 Of the 35 popular trekking routes in Nepal, only three, Langtang, Manaslu and Rolwalin, were disturbed by the quake. ABC trekking was unaffected and has continued growing in popularity.